Spring is the best time to prep your yard for the upcoming seasons. MWR Gear has a variety of tools and machines to help you out. Contact Pete DiGeronimo at (508) 968-6447 to make reservations. 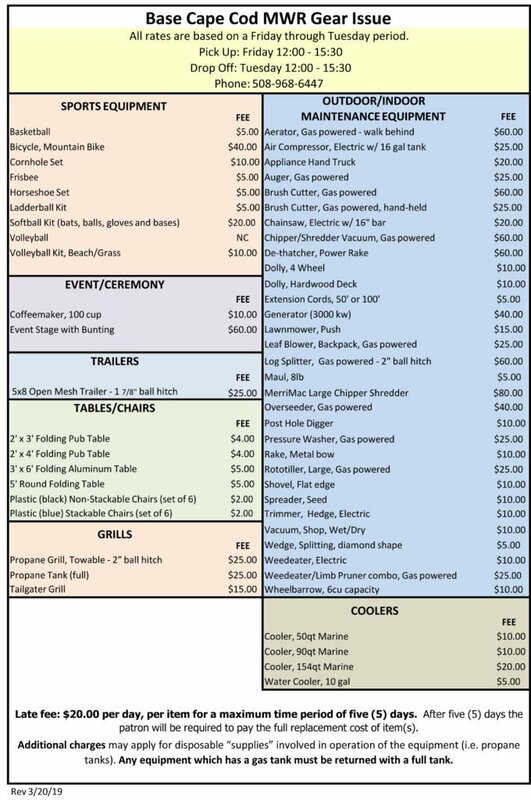 Check out the 2019 Rental Gear Prices below.